Mr. Bolton says: "Be there or be square!" 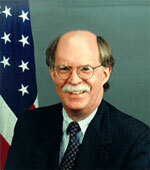 According to inside analysts, Mr. John Bolton, National Security Advisor, is steadily advancing toward November, 2024. “If there’s one thing we do like it’s a good war,” is commonly expressed by Mr. Bolton and his group at barbecues and gab sessions. Meanwhile, Mr. Bolton’s top aide, Ms. Mira Ricardel, is under the penetrating blue eyes of the first lady herself as we speak. Another battle inside The White House is indicated between Ms. Ricardel and General Mattis, an "odor in the cloakroom" sort of thing. Mr. Bolton has also said Mohammed bin Salman is definitely still innocent. Because the tape does not directly and indisputably state that when Mr. Maher Abdulaziz Mutreb says “Tell the boss” he is referring to MbS. That Mr. bin Salman now stands in the back row during royal news conferences, with two new and older relatives of the king replacing him at each elbow, is not related. This same Mr. Mutreb—MbS’s top aide—last summer stated he would never do anything without the explicit orders of his boss, MbS. “Well, if we use the language skills we do possess we must conclude that the entity referred to as the boss is indeed Mohammed bin Salman,” she said. "Mr. Mutreb has one boss only and that boss is Mohammed bin Salman. Therefore, boss = Mbs." Brought up-to-date on Professor Bonesaw’s reasoning here, Mr. Bolton snorted three times and clenched his jaw.